Due to the information they offer regarding earth’s early evolution, and as they constitute the world’s richest source of commercial iron ore, banded iron formations (BIFs) are pivotal to geological science. They span a great range of the Precambrian era – which includes roughly 85% of all geological time - and can be found in all continents. The Precambrian era covers the period from the origin of the Earth approximately 4,500 mya, to the ‘Cambrian Explosion’ roughly 542 mya, during which time there was a rapid diversification of complex multicellular organisms. With a high spatial resolution which provides information on a material’s molecular vibrations, Raman spectroscopy is a non-destructive optical technique. This technique is vital in geology because it offers a straightforward and rapid method for the chemical identification of minerals. 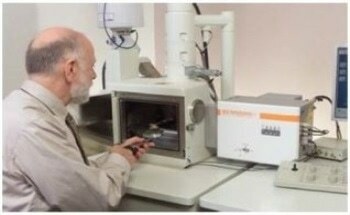 The inVia Raman microscope is Renishaw’s flagship Raman product. 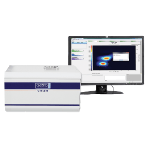 This incorporates a Raman spectrometer with a research-grade optical microscope. 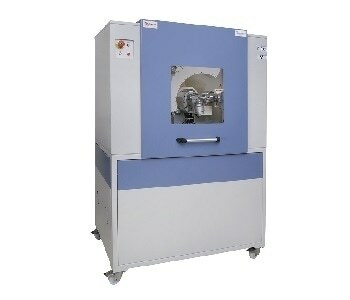 It enables the co-localised collection of traditional Raman data and petrographic data. Renishaw’s StreamLine Raman Imaging is able to drastically reduce measurement times when compared to more conventional point mapping. This is because it combines advanced detector technologies with automated optics, enabling the mapping of large samples at high resolution in practical timescales. In this study, StreamLine imaging is applied to a particularly large (145 mm x 20 mm) Archaen BIF core section sourced from the Marra Mamba formation (roughly 2600 mya)4 of the Hamersley Ranges in Western Australia. The ability to study the spatial distribution of mineral species demonstrated in this section, provides an opportunity to improve the understanding of the underlying geology in this formation. This ability also highlights how powerful this technique is as an analytical tool for research and mining applications. 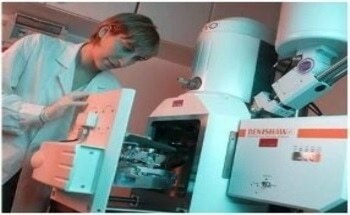 Using a Renishaw inVia Raman microscope, StreamLine imaging was undertaken on a long core section. 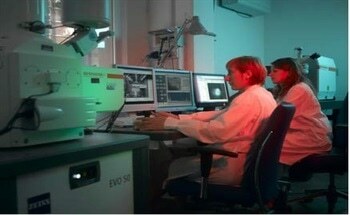 In order to collect over 73,000 spectra in under an hour, a 20x (NA 0.4) microscope objective was used. A narrow strip with dimensions 88 x 71,000 running through numerous bands in the section was used, from which Raman spectra were collected. For the StreamLine Raman measurements, a 514 nm laser excitation source was used, with a laser power on the sample of roughly 20 mW. StreamLines’ line focus geometry enables a high laser power to be focused onto the sample without causing damage to it. This allows for faster acquisition of data. In order to generate Raman images of the section, a multivariate component analysis method (direct classical least squares) was utilised. Using a series of reference spectra which are selected by the user, this method correlates the spectra at any given location. It subsequently determines which is the best fit and colours the image accordingly. Figure 2. Image of the BIF core measuring 145 mm x 20 mm indicating the region imaged using StreamLine. Using the StreamLine data, individual species were identified and their spectra used as references for the generation of images. Figure 3 displays reference spectra. The bulk constituents identified were skutterudite (a cobalt arsenide mineral), riebeckite, magnetite, calcite, and quartz. Also located was a less abundant species which was reasoned to be a complex iron spinel. Shown in Figure 4 is a StreamLine Raman image which highlights the variations in mineral spatial distribution between the finely laminated regions which are located between the relatively thick (roughly 1 cm) bands (dominated by riebeckite, magnetite, and quartz). The major regions dominated by magnetite were considered to range between 4 mm and 12 mm thick. As single iron bands are able to be laterally continuous across hundreds of kilometres, this mineralogical information is crucial as it enables geologists to trace economically vital seams over vast areas. As an example, in the Hamersley Ranges, microbanding (iron-rich laminae) has been traced across distances of 300 km in surface exposures5. Figure 4. StreamLine Raman image of BIF core. A single spectrum (shown in Figure 5) was formed by combining all of the StreamLine spectra. This spectrum displays strong Raman modes from the present mineral species including dominant bands (such as calcite, riebeckite, magnetite, and quartz) and minor constituents like skutterdite. It also provides complementary information concerning the relative quantity of magnetite within the core. A comprehensive summary of all of the species present in the BIF core is provided by this average spectrum. When taking into account cores derived from different core sites, the variations in Raman mode intensity from average spectra may be used to assess the relative concentration of valuable minerals at a given site. Figure 5. Average Raman spectrum of the BIF core, generated from 73,650 spectra. The applicability of StreamLine imaging to both the academic and industrial study of BIFs has been demonstrated by this study. It is possible to use StreamLine Raman imaging in order to determine the presence and spatial distribution of minerals within a BIF core, as well as the thickness of magnetite bearing regions. For academic researchers aiming to determine the geological history of BIGs, the mineralogical data this study has provided will be beneficial. Furthermore, StreamLine imaging’s ability to undertake accurate spatial determination of core minerals may prove extremely valuable to resource geologists tracing iron rich bands across hundreds of kilometres. Semi-quantitative information concerning the relative amounts of core minerals can be provided by the average spectra derived from large StreamLine datasets. With the use of this method, it is feasible that the economic viability of mining operations in a given region may be investigated via a comparison of the relative content of valuable ore minerals with other core sites. C. Klein, E.A. Ladeira (2000). Geochemistry and Petrology of Some Proterozoic Banded Iron-Formations of the Quádrilatero Ferrifero, Minas Gerais, Brazil. Economic Geology, 95(2), 405-427. A.F. Trendall, D.R. Nelson, J.R. De Laeter, S.W. Hassler (1998). Precise zircon U-Pb ages from the Marra Mamba Iron Formation and Wittenoom Formation, Hamersley Group, Western Australia. Australian Journal of Earth Sciences, 45(1), 137-142. A.F. Trendall (2002). The significance of iron-formation in the Precambrian stratigraphic record. Special Publication of the International Association of Sedimentologists, 33, 33-66. This information has been sourced, reviewed and adapted from materials provided by Renishaw plc. 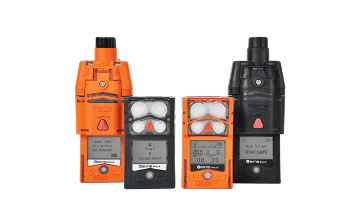 For more information on this source, please visit Renishaw plc.